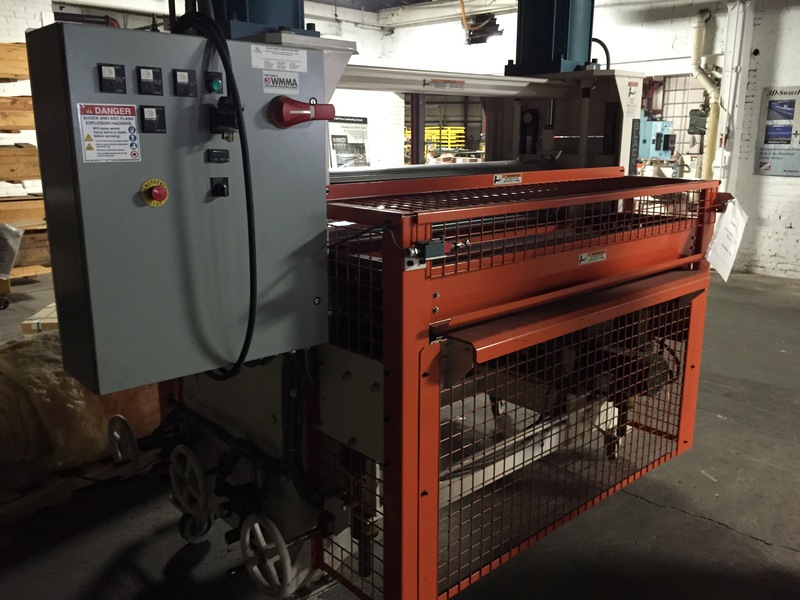 This RPP C-1575 Pneumatic Rotary Press has 56″ NL with a pass line height of 36″. It has 2 chrome 15 3/4″ Diameter combining rolls. It is speed adjustable from 10 – 100 FPM. It also has 16 In feed and Out feed driven rolls 4 1/2″ in diameter.